Last week, I included what I called a Non-Podcast in my newsletter, and the response put a grin on my face that lasted all week. Even though it was just a few minutes of me sharing the quiet of my morning, so many folks got in touch and shared their own morning thoughts, and they were lovely to read. Thank you so much! And lots folks thanked me for sharing the recording through the newsletter rather than through social media (as I’d first intended), because they don’t use it. And you know what? I hear you. I’m a fan of some social media and certainly not others. Twitter just feels like lots of people shouting these days and Facebook drives me nuts the way it seems so cluttered and slow to load. But I have to tell you, I do love Instagram: it’s simple and clean and makes it so easy to share stuff that I use it to post a lot of little day-to-day moments on it. If you’re not familiar with it but still want to catch those quick glimpses of this dyer’s world, just click here. Then you can scroll down to see my posts or, if there’s a pink-purple circle around my profile picture (as above), click on it and you’ll get to see images from my day that will appear for only the next twenty-four hours. It really is a great way to share! Speaking of sharing, I’ve got a ton of fun fiber news to share this morning. So find your quiet morning spot, curl up with a cup of tea, and let’s take a look! Pom-poms have been having a moment recently (I can’t decide whether to add one to either of my two new hats) but have you ever considered a rug made of pom-poms? This 30 second tutorial shows you how to make one and the end result looks truly decadent. What a great way to use up all those bits of yarn leftover from your other projects! This is interesting: we’ve seen yarn shows combine with quilting and sewing, and knitting trips held on cruise ships… Now Vogue Knitting is pairing knitting and cooking for its “Cook & Create” event, featuring Jo Packham, the creator/Editor-in-Chief of WHERE WOMEN CREATE magazine, and Chef Steve Ballard of Sonora Grill and Thai Curry Kitchen in Ogden, Utah, for a weekend of knitting and cooking classes. What do you think? Is this the future of creative retreats? A member of our SpaceCadet community (hi Michelle!) emailed this cartoon and it just cracked me up. You know you’ve thought about it! 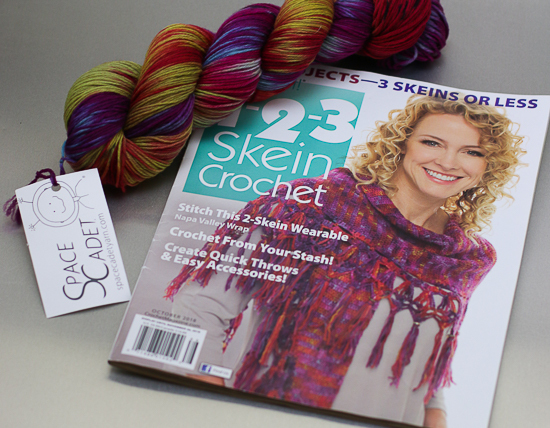 Something I just have to share with you: SpaceCadet yarn made the cover of 1-2-3 Crochet! 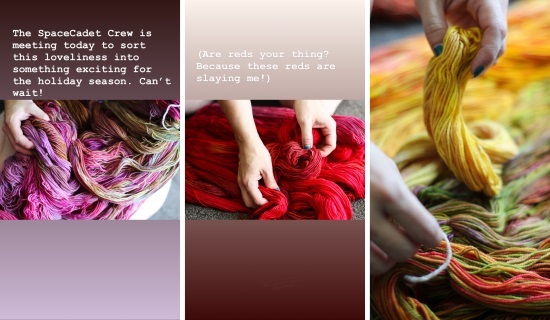 Many months ago, we dyed several skeins of Celeste in Molten Cool for designer Karen McKenna to create a shawl with and, like all collaborations with designers, I sent the yarn off knowing it would be a long while before we saw the result. 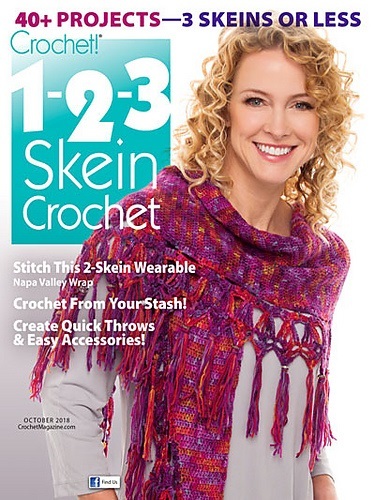 Imagine my delight when she got in touch to let us know that her shawl — and our yarn — had been chosen for the cover of this special issue from Crochet! magazine. The pattern is profiled in my pattern picks below and the magazine hit newsstands last week, so I just had to take a moment to share my excitement with you! 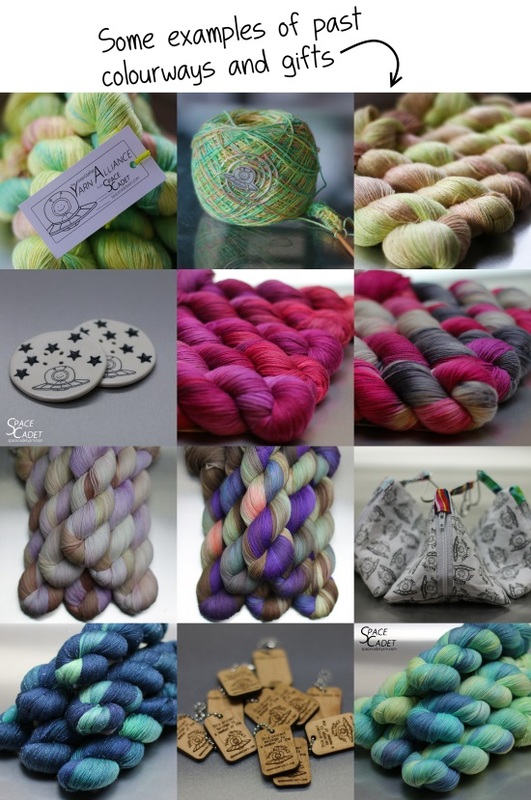 The Yarn Alliance Opens on Friday! Oooh! It’s getting exciting! 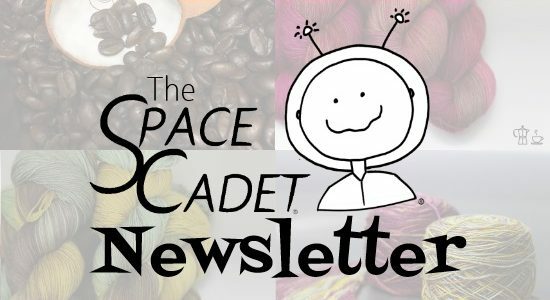 The InterStellar Yarn Alliance opens for new members on Friday, and I sent an email last night with first-dibs access to our renewing members and the folks on our waiting list (if that’s you, check your inbox!). And it’s been so much fun watching our members renew their subscriptions and seeing who is going to join us for the upcoming season. Welcome — I’m so excited to have you aboard! Being part of the Yarn Alliance club is all about coming on a colour exploration — in gorgeous yarns dyed in exclusive colourways and shared with a wonderful community of fellow club members who are all part of the adventure too. Plus we create beautiful coordinating skeins to double the fun. And each parcel contains a wonderful club gifts created exclusively for the club by our community of amazing handmakers. Oh, and a 15% coupon! So if you want to join us, set a reminder on your phone on Friday morning at 9am (eastern)! Then click here to get your spot. I can’t wait for you to join us! It may be September but summer is holding tight (the heat and humidity have been brutal this week!) so it feels entirely appropriate to feature this gorgeous design which evokes every good thing late summer has to offer. I love the texture (its rare to see cables and lace work so well together! ), the clean colour shift, and that delicate picot edging. Written in two sizes, it’s worth casting on to hold onto every last drop of summer. 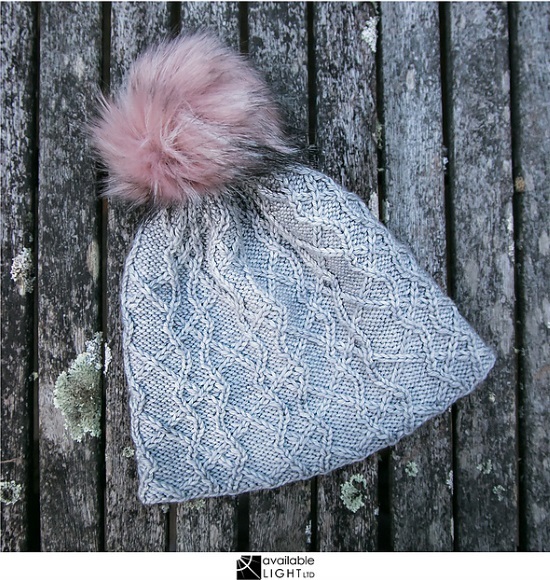 As much as I just waxed lyrical about summer, winter is coming and I can’t imagine a better pattern to welcome in that new season than this stunning hat. Inspired by the open stonework of medieval buildings, its intricate cables recreate their delicate beauty and keep the knitting interesting with every round. Oh, and that pom-pom! Didn’t I tell you they are having a moment?!? 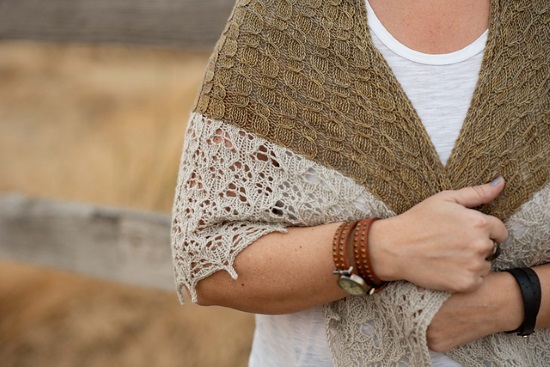 And I know I mentioned it above but I just have to feature this lovely shawl as one of my pattern picks for this week. 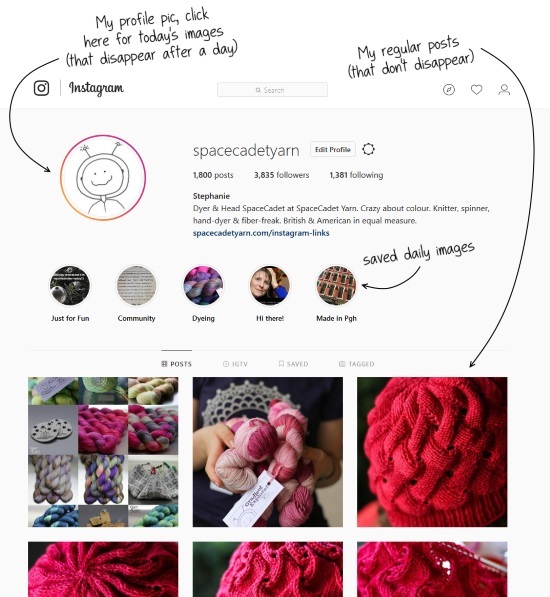 Not only because it put SpaceCadet yarn on the cover(! ), but because it’s a beautiful design. Deceptively simple, it keeps most of the work relaxing and straightforward and saves all the detailed stitchery for that gorgeous edging. Plus, it’s beaded for a little extra bling! Designed in Celeste in Molten Cool, its colour changes will keep you fascinated with every stitch. Well, I’ve got a busy day ahead — the SpaceCadet Crew is meeting up to sort through some amazing yarns for a special Holiday collaboration we’ve got planned with designer Lisa Ross (she of the gorgeous colourwork) — so I’d better get moving. I hope your day is filled with exciting events too and, until next time, all my best!